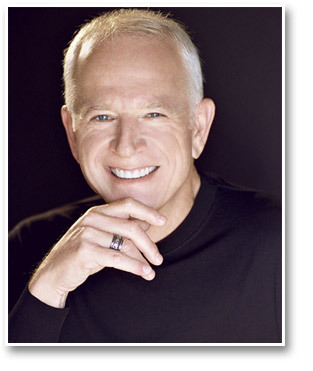 Gary W. Goldstein is a highly sought-after speaker, consultant, author, award-winning Hollywood film producer, and the President of The Goldstein Company, a film and television Production Company based in Los Angeles. Prior to becoming a film producer, Gary was a lawyer in San Francisco and then ran his own literary and talent management firm in Los Angeles, representing writers, actors, and directors. He’s been instrumental in the success of many of Hollywood’s biggest box-office hits. His films have generated over a billion dollars in worldwide revenue and received numerous Academy Award nominations, People’s Choice Awards, a Golden Globe, and various other awards and nominations. Gary’s films include the critically acclaimed Pretty Woman starring Julia Roberts and Richard Gere (which went on to be one of Disney’s highest grossing live-action films). 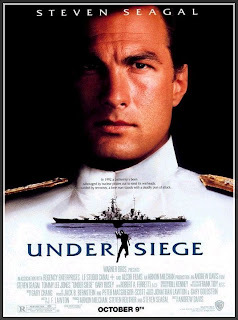 Another of his film successes, Under Siege (Warner Bros.), starring Tommy Lee Jones and Steven Seagal, was followed by Under Siege 2: In Dark Territory. Also included is the much heralded adaptation of The Mothman Prophecies (Lakeshore Entertainment and Sony), starring Richard Gere and Laura Linney, which also helped to earn Gary a respected reputation within the ranks of Hollywood. While the creative process of your writing is non-linear, unstructured, and mysterious, your career path needn’t be so uncertain and unknown. In my interview with Gary, he gives you some simple formulas for success that take the guess work out-of-the-equation; he saves you precious time and brings about a focused direction. Gary shows you a plan of action that forecasts the predictable elements of the terrain through the understanding of a few key characteristics of human nature. Ann Baldwin: Who are the real and true ‘Gatekeepers’ in Hollywood? Gary W. Goldstein: The true ‘gatekeepers’ in Hollywood are the heavily vetted assistants who sit as guardian to every agent, executive, producer or director – the very people charged with keeping the trains running on time, answering and responding to every caller, logging in and reading most all materials that come through the door, scheduling every meeting, keeping at bay as many as possible, limiting access and guarding their boss’ precious time. For every assistant a writer befriends, they measurably move the needle of their access to influencers and their career momentum. There are magically effective keys to winning any given gatekeeper as your ally, each of which I share in full in my book. This chapter alone has the power to shift any creative career into high gear within as little as one year, if not much quicker. Ann: In your new book, Writer’s Guide to Hollywood, you talk about the “Top 100 List”, what can you tell us about this? Gary: In any industry, it only takes 100 carefully researched and wisely chosen successful people to lay the foundation for your own success. Knowing the key strategies to use in selecting your ‘top 100’ (what to look for when researching them, how to track or measure your progress by way of a simple spreadsheet) will accelerate a writer’s success exponentially and spare him or her from two of the greatest miseries that befall most creatives: (1) feeling confused or that the process of success in their chosen field is somehow mysterious or random, and (2) wasting precious time (usually years), before achieving whatever level of success is theirs to achieve. Ann: What do you believe are the three most common mistakes screenwriters make, while pursuing their career? Gary: 1) Not being excited, accountable, & engaged daily with marketing themselves. 2) Asking favors (not advice) from total strangers through impersonal email queries or immediately upon meeting someone for the first time. 3) Not investing daily in building relationships with their “top 100 list” or otherwise consciously seeking rapport with those who can make a positive difference over time. Ann: How can writers market themselves effectively? Gary: A writer needs to be self-aware, know his or her ‘brand’, be able to define and articulate their brand in a phrase, and communicate brand-consistent goals to producers, executives, directors, and the world at large. Ann: Can you give us a few examples to illustrate what you mean by a writer’s brand? Gary: The late Nora Ephron was the acknowledged queen of the rom-com. Did you know that early in her career, she wrote a regular column for Esquire magazine on women’s issues? Her first major screen success was Silkwood, which made it clear she could write strong roles for women. Then she began her string of successes with When Harry Met Sally, Sleepless in Seattle, and You’ve Got Mail. Her brand, which she recognized early, and then made deeper and wider, is writing about and for women. Quentin Tarantino’s reputation is rooted in his capacity to make extreme violence entertaining– from Reservoir Dogs, to Pulp Fiction, to the various installments of Kill Bill. Only he could extend his brand into comedy with the still violent, but funny, Inglourious Basterds. Try to imagine another filmmaker pitching that one. Ann: What is the value of Persistence in regard to building a solid career? Gary: Persistence is the stuff of success and the single quality most common among the truly successful in any field of endeavor. The inability to hear the word ‘no’, the attitude that says “nothing will stop me, drop boulders on my head, send your armies against me, I will not surrender and I will succeed”. That’s the attitude that steels you to live your dharma, fulfill your mission, and achieve your destiny as a creator. It will carry you through the valleys of rejection, doubt, insecurity, and frustration. Yours is but to stay in the game, with a genuine and infectious attitude that announces to your self and to the world that the game is yours to win. And the more you do, the more natural that winning attitude becomes, to the point where no self-talk is needed because it simply becomes who you are and underscores your personal and professional habits, language and mindset. Sadly, the vast majority of otherwise truly gifted people lose the game by their own hand. They defeat themselves by quitting, often when it feels hardest or darkest, which is when they are closest to their goal (just three feet from gold). So, wake up everyday with the same excitement and commitment to consistent persistence, ignoring your inner ‘doubting Thomas’ or others around you who may question your choices or be skeptical by nature. It’s your life and you deserve to live your passion. Persistence is the key that unlocks your dreams. 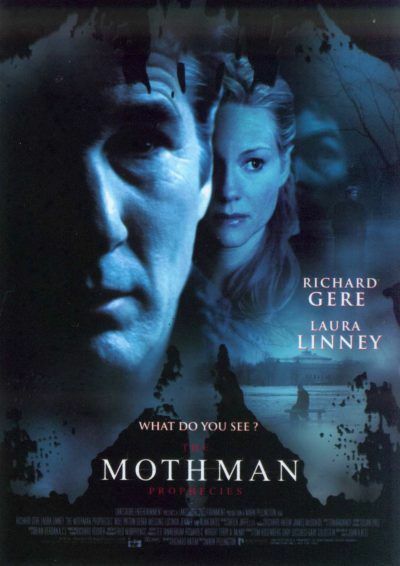 Ann: Your film, The Mothman Prophecies, was rejected by every major Hollywood studio; what was your deal-clincher, after hearing your last “No”? Gary: Understanding that ‘no’ is just a conversation starter, and that while persistence is the only thing that wins the day, sometimes a ‘no’ is a clue or signal to take a deeper cut, tell a richer, more persuasive or moving story that comes more purely from your heart, guts, viscera (your truth zone) and less from your intellect (your ‘above the neck’ zone). Focus less on the ‘what’ and the ‘how’ or other less personal facets and shine your brighter light (the ‘who’ and ‘why’) – why this story so deeply moves you, why you had to write it and are the only one who could’ve written this story, why it’s so emotionally powerful and will be so alluring to actors, audiences, and filmmakers. Tell the story behind the story. Ann: How can being in the present moment and being a good listener improve the quality of a writer’s business relationships? What does it do to help a writer, when meeting with studio executives for the first time? Gary: Building meaningful relationships and going beyond the sort of business acquaintances that satisfy most, assures and accelerates career success; especially in the creative space where who you know can be more important that your craft or talent. The most talented writer in the world is at a massive disadvantage if they live in the equivalent of a social cave. The most powerful tool to grow rapport, learn valuable information, allow the other to feel heard and valued, sew the seeds of rapport that will blossom into long-term relationship (if not friendship) is the one thing most everyone fails at miserably: the ability to listen, and listen deeply, to another person. This is true in person and no less true over a phone line. The corollary is the art of asking smart, thoughtful questions, then sitting silent, while making eye contact and simply listening. What you learn will naturally lead to yet another sincere, thoughtful question. As long as it appears natural (i.e. you’re relaxed and your questions are based on their personal or professional revelations) and your questions do not come across as ‘scripted’ in advance, you’ll win the day. It’s not necessarily a conscious affair, but the truly good listener is often complimented on their excellent conversational skills! So, make a list of the folks you desire to know and research them online to learn little known details that prepare you well as you confidently go forth to arrange conversations or set in-person meetings with those executives or others. Knowing the art and science of asking authentic questions, followed by deep listening is the single most flattering and intelligent strategy for allowing others to bond to you more quickly. 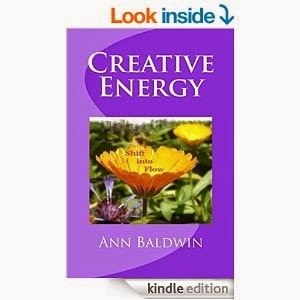 Ann Baldwin is a screenwriter (The Power of Dreams, Scent of a Trail, Dream Catcher) with several spec scripts in development. She reviews books on screenwriting and filmmaking, writes articles and interviews, and has several books (fiction & non-fiction) in-progress. Prior to launching her writing career, she was a special event coordinator and manager in the hospitality and entertainment industries for over 25 years.